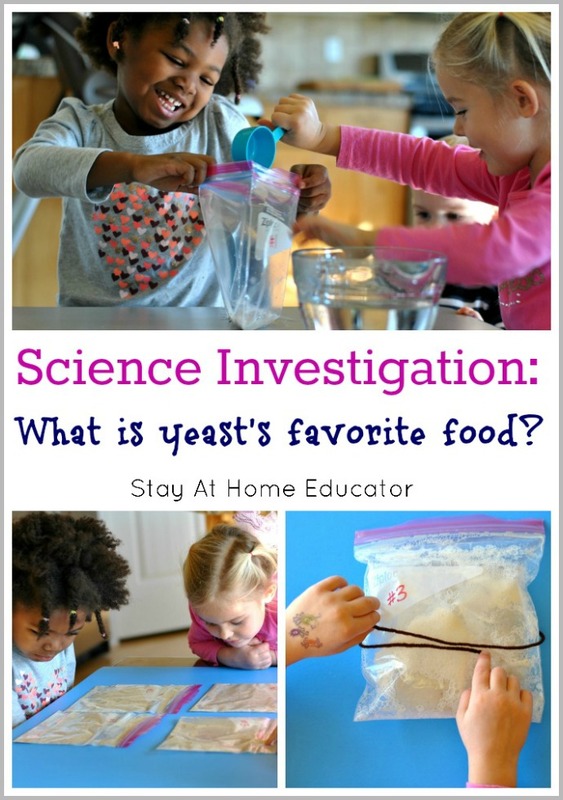 Science Investigation: What is Yeast's Favorite Food? Science Investigation: What is Yeast’s Favorite Food? My kids are constantly asking me questions. I mean, from the moment they wake in the morning to the moment I kiss them goodnight, I am being pecked to death with questions. That’s because children make the best scientists! They are so incredibly curious! So the best thing you can do for your children when being hounded by numerous questions is to help your kiddo answer them in a science investigation! Disclosure: I received a free copy of The Curious Kid’s Science Book in exchange for a review. Well, I sorta’ asked to review this book. I knew I’d love it and I wanted a copy as soon as I heard about it. If I had a nickle for every question my kids asked me, I’d be rich enough to buy the most luxurious mansion in Dubai. Seriously. I hear a lot of questions from my four kids…all the time. I do not know everything. I know a lot, (at least, sometimes I think I know a lot), but certainly not everything. And not knowing everything has gotten me into some trouble with my kids. It’s completely exhausting to them that I am just average. “What insect has the biggest eyes?” Um, a dragonfly? “How is the sunrise on the iceberg made?” Well, it has to do with the way the sun’s light rays shine through the particles in the sky. “What is a particle?” It’s a teeny tiny piece of something. “How many particles are there in the world?” Um…I have no idea. Infinite? I don’t know everything. Not even close. But I don’t want my kids to stop asking me questions, even though sometimes I feel like I’m being swarmed by them. But doing science investigations will keep them asking these important questions. It will keep them curious. This is my new handbook for teaching science. 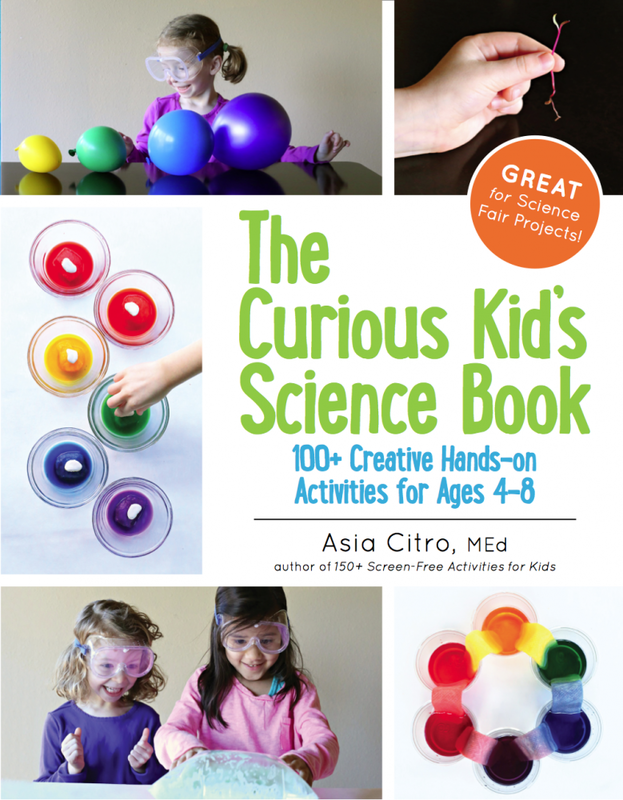 The Curious Kid’s Science Book is written by Asia Cirto, a former science teacher, but also a mother of young children. 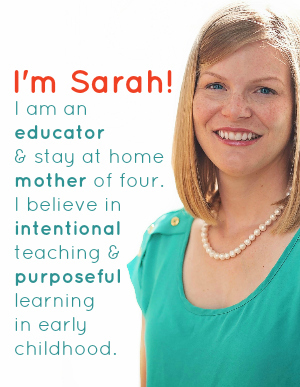 She gets what it’s like to be bombarded with questions because your kid just can’t stop wondering about why she can’t keep the sunflower seed she planted in preschool in the treasure box in her closet. 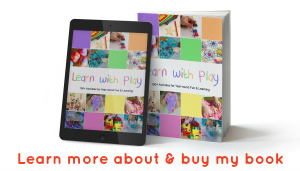 The book is broken up into chapters based around some basic topics that seem to interest all children. Water and Ice, Food and Candy, to name a couple. Then, each chapter is broken down into three categories of how to do science with your child. You can follow an experiment, or explore a concept, or meet a challenge. I love this approach because teaching science, even in the early childhood years, isn’t about repeating a bunch of experiments to get the same results someone else has. (Well, we don’t run research trials in elementary or preschool). It’s about going through the scientific process. It’s about the science investigation. So, you invite your child to make a guess. You conduct the experiment by changing only one variable at a time (and you get to choose the variables). You collect data and record it. Finally, you report back what you have learned. It’s the scientific process. And it’s the process that makes our children into scientists. Because those questions are good things, remember? And science is a process, not an explanation, right? And her question paired perfectly with an experiment from The Curious Kid’s Science Book. What does yeast eat the fastest? 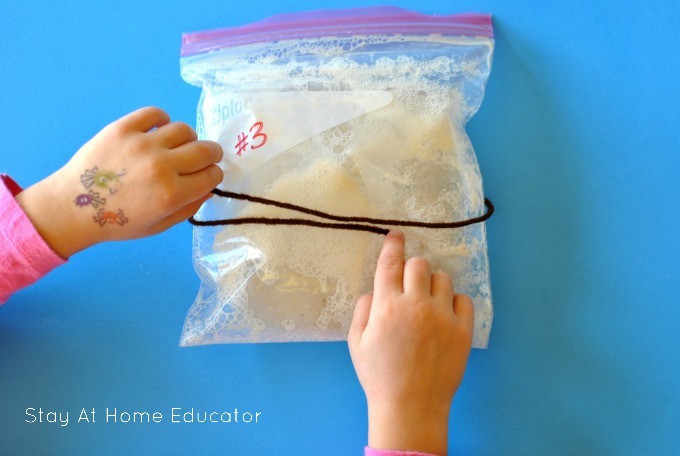 Only, Corinne phrased it as “What is yeast’s favorite food?” We searched through our favorite yeast dough recipes and identified three ingredients the recipes call to add to the yeast and water to “feed” the yeast. We found sugar, honey, salt, and just water. So those were the variables we tested. Corinne and her friend made a guess based on what they already knew, (which, to be honest, wasn’t much). Corinne thought the bag with the sugar would be the favorite because she likes “candy and candy has sugar in it.” Not very scientific, but an assumption based on our own experiences. We made up our baggies with a different variable in each one. And set them aside and watched. At the beginning, they all looked the same, but as time passed we started to seem some noticeable differences! Like true scientists, we had to figure out the best way to measure our results, and we returned a few different times to measure them as the baggies continued to grow, or not grow. 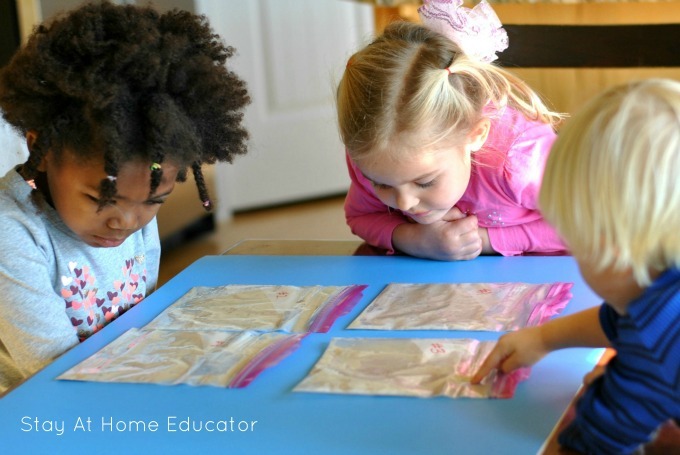 It was Corinne’s idea to use a string to measure around the baggies. I think she remembered from when we tracked watermelon growth one summer. Of course, all of this is meaningless if we can’t apply the results to our own lives. Another great point the book brings out with each experiment. 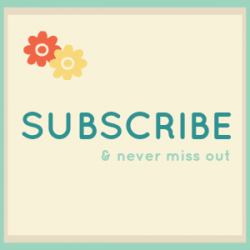 What do to results mean for us? Well, I won’t tell you everything, because I don’t want to spoil the results. But I will tell you that the food, if any, given to the yeast in bread making does have an impact on how light and fluffy the bread is. At least, it would seem that way due to the correlation of our results with the density of each bread recipe from which the food variable was selected. The best part is that after this experiment my daughter had more questions about yeast. Yes, more. But what a great thing it is to have a curious kid! While The Curious Kid’s Science Book can’t answer all my kids’ questions with an experiment, it gives my children to know-how for investigating. It makes them want to find a way to answer all those questions that are bouncing around in their cute little heads. Next we will find out what the ideal temperature for water when activating yeast. 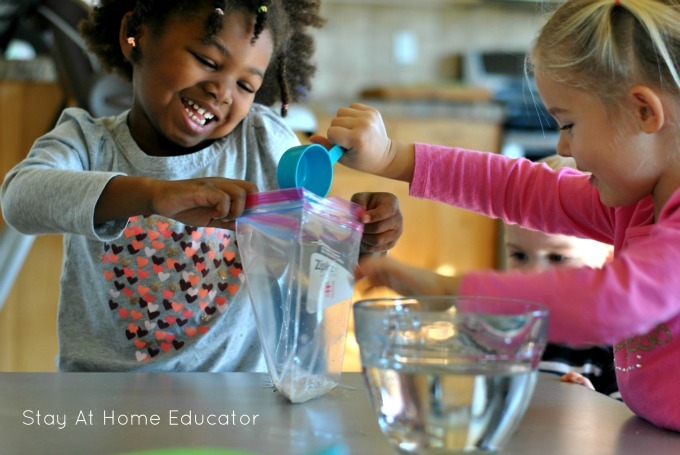 Cellophane Collages – Teaching Preschoolers about Light and Color How to Teach Healthy Eating with a Preschool Nutrition Theme Cooking with Preschoolers – Applesauce Bread Preschool Science Investigation: How Does Water React on Various Surfaces?